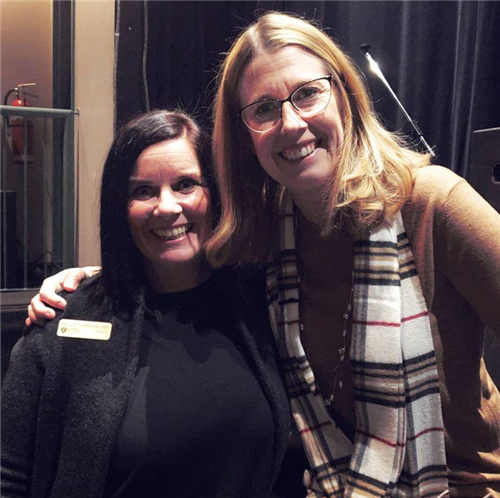 I would like to personally thank Balmoral Hall Parent Association (BHPA) for the wonderful presentation they organized for our school community on the topic of anxiety and children with Dr. Michelle Warren on November 1, 2018. As the new guidance counsellor this year at Balmoral Hall, I have a specific interest in mental health advocacy and promotional mental health programming. I believe equipping students with the skills they require in order to navigate life stressors with resiliency is one of our most important goals as educators. Dr. Warren normalized anxiety as something that we all deal with from time to time, highlighting that an anxiety disorder is when the anxiety starts to represent a repeated pattern that gets in the way of follow through with our normal activities. Some key points for supporting children and youth with anxiety shared in Dr. Warren’s presentation were as follows. Ensuring that accurate information is provided to the people who interact with students the most (parents and teachers). Equipping parents with parenting strategies that promote normal development and build independence (limiting reinforcement of avoidance). Using mindfulness (awareness of the present moment and of our thought patterns) and centring practices. Dr. Warren alluded to the benefits of teaching mindfulness and referred specifically to the Mind Up program. I wanted to share with the community that the Mind Up program is being taught formally here at Balmoral Hall in both in Junior and Middle School. Informally, many teachers incorporate mindfulness and centring strategies and practices throughout the day. We are also very pleased to share that we will be working in partnership with Charlotte Sytnyk, Senior Department Officer from Canadian Mental Health Association, to support continuing professional learning opportunities for both staff and parents. I look forward to working alongside the Balmoral Hall staff and parent community to support all of our students in their well-being. Thursday, February 21, 2019, 6:30 – 8:30 p.m.